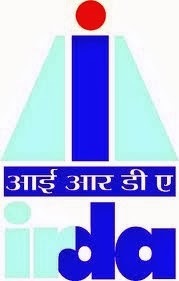 The Insurance Regulatory and Development Authority (IRDA) has favoured the decision of Union Finance Ministry which permits all banks to sell products of multiple insurance companies. At a meeting with life insurance companies in Hyderabad yesterday, the insurance watchdog supported FinMin's decision to open the bank branches for this. The regulator also evoked private sector banks to join this initiative. Earlier, the finance ministry had asked all public sector banks to act as insurance-broker from January 15. The ministry doesn't want banks to work as corporate agents of particular insurance company. As per current guidelines, a bank can sell only one product of life insurance, one of non-life insurance and one of standalone health insurance. The finance ministry is concerned over the slow development rate of insurance market in India. Even after 13 years, when the Indian insurance market was opened up for private companies in 2000, insurance penetration, defined as the ratio of insurance premium to the gross domestic product, is hardly at 4%.